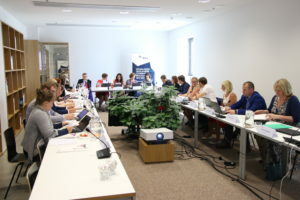 The Joint Monitoring Committee (JMC) hеld its fifth meeting on 20-21 June 2018 in Tartu, Estonia. The session was chaired by Ms Julia Koger, Adviser of the European Territorial Cooperation Unit, Regional Development Department of the Ministry of Finance of Estonia. 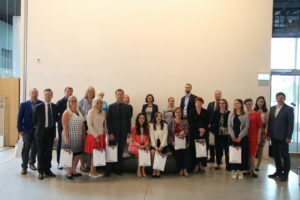 At the beginning of the meeting Joint Technical Secretariat (JTS) presented stay of play of the Programme together with the planned activities in the future. Among other things statistics on the 1st and 2nd Calls for proposals and information about Large Infrastructure Projects applications submitted to EC were presented. 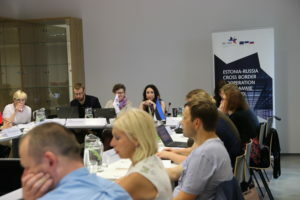 After discussion of the 1st Call projects and conditions under each thematic objective (TO), JMC approved a number of projects for awarding a grant. 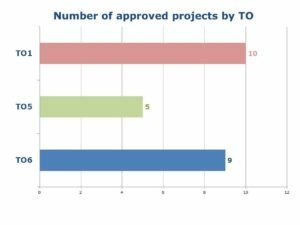 The list comprises 24 approved projects and 2 projects in reserve out of altogether 39 applications submitted at the Full Application form stage of the 1st Call. Managing Authority will officially inform successful applicants about the decision of the JMC within the following 15 days, while unsuccessful applicants will receive notification within the next 15 days. Within the session Managing Authority presented for adoption the document “Procurement rules and tender procedures” which is an Annex to the Project Implementation Guidelines. Among other documents JMC approved changes in the Guidelines for the 2nd Call for Proposals in the point of payments to projects. Both Guidelines will be updated on the Programme website shortly. Next JMC meeting is agreed to hold on 11-12 December in Estonia. Photo gallery of the meeting.